In 1987, Jennifer Blake graduated with a B.F.A. in Painting from the Hartford Art School, Hartford, Connecticut. After college, Jennifer took some classes in Graphic Design at the University of Maine. 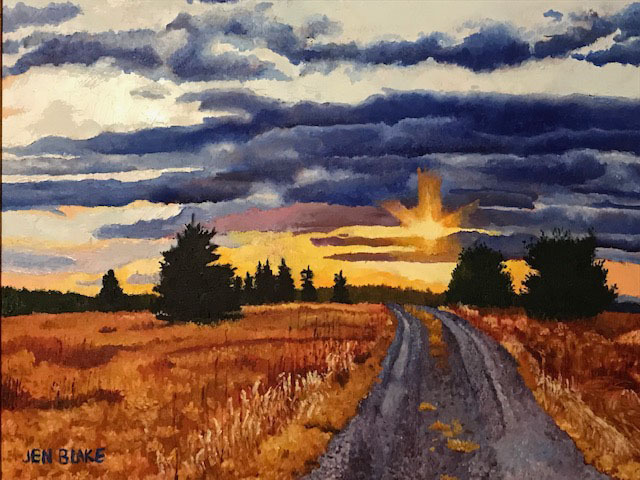 With a background in art and graphic design, Jennifer Blake used her skills as a contract artist in the multimedia industry. 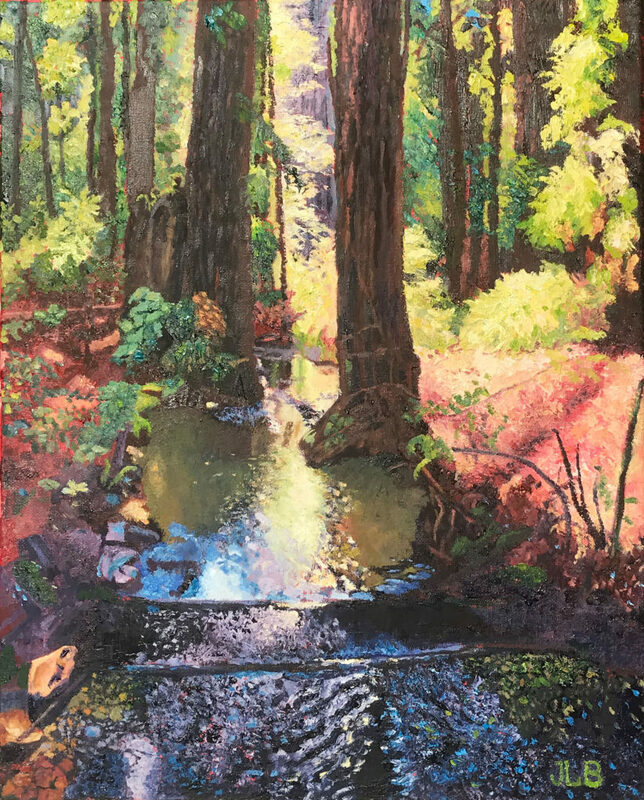 She created background art and text at two California children’s software companies named KnowWare and The Learning Company. 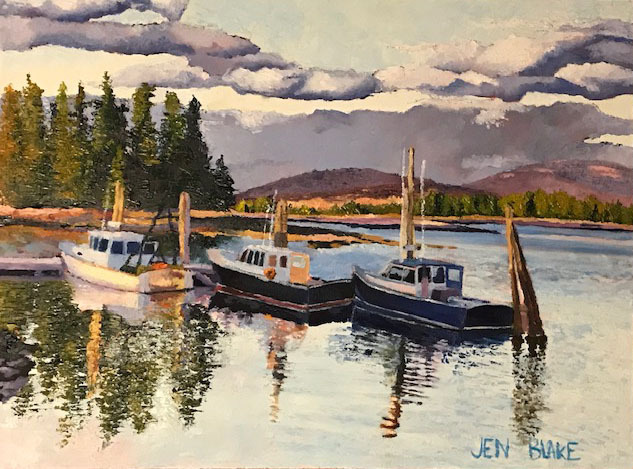 After completing some contract work, Jennifer decided to return to Maine to pursue her love of painting. 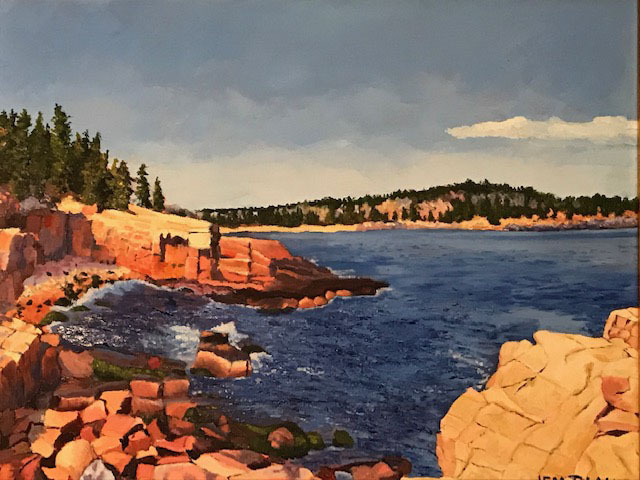 While creating paintings, she joined an agency called VSA Arts of Maine that helps people with disabilities sell their artwork. 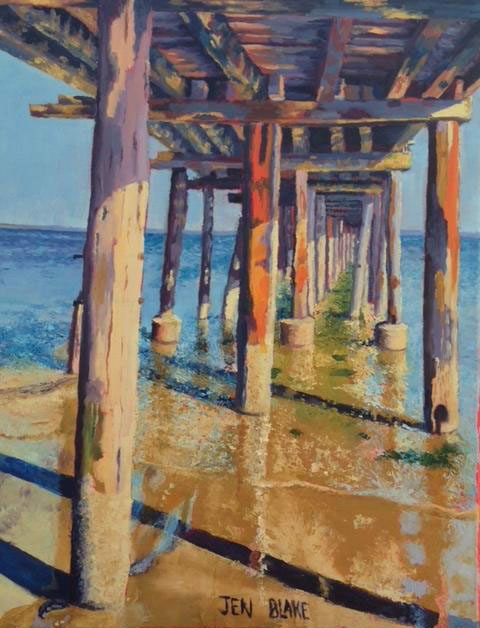 Jennifer Blake had an art show with VSA Arts of Maine during the year of 2009 and 2010. During August 2017, Jennifer had a art show at the Ellsworth Library. The show was called Landscape Paintings by Jennifer Blake. Where she celebrated her work for 30 years of art. 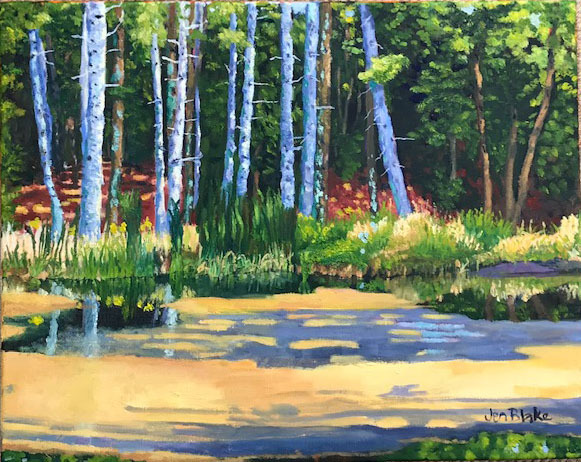 She has also shown her work at Parker Ridge in Blue Hill, Maine, where she now lives and works on her paintings.